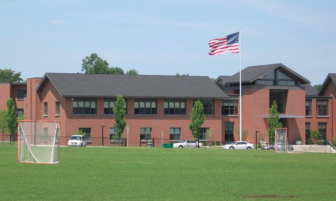 All Darien High School students involved in any extracurricular activity and their parents are now required to attend one of the few scheduled school meetings about the dangers of substance abuse. And there’s one scheduled on Monday night especially for students about to complete Grade 8 and enter high school, along with one of their parents or guardians. The school district will have more of these meetings over the summer, but school officials say the one on Monday is expected to be the easiest one for parents and kids to attend, since it’s unlikely to interfere with summer activities. The “Commitment Workshop” meeting takes place from 7:15 to 9 p.m. on June 11 in the Darien High School Auditorium. At 6 p.m. the same night, Grade 8 students are invited to the high school Gym to learn about the athletic program. As you may know, Darien High School revised its participation policy for the 2017-18 school year. A committee of parents, coaches, teachers, and administrators met over a 16-month period and found that the former policy had little to no impact on student behavior with regard to the use of drugs and/or alcohol. Survey data suggested that parents play a critical role in influencing their child’s decision-making around illegal substances. DHS students consistently indicated the need for further education concerning the consequences of using drugs and alcohol in relation to their experiences growing up in Darien. The new Standards of Behavior Governing Participation in Extracurricular and Athletic Activities at Darien High School emphasizes educating students and families in understanding the impact of illegal substances on health and wellness and can be viewed by following this link. The Darien Public Schools continues to believe that we must do everything possible to support our students in making good decisions. In an effort to utilize education as a tool for change, we will be requiring all students (and at least one parent/guardian) who plan to participate in extracurricular (all club related activities such as Model UN, Theatre 308 , and Debate Club) or athletic activities in Grade 9 to attend one workshop related to the use of illegal substances. Attendance is required once a school year and the workshop must be completed by the student and guardian prior to participation in the extracurricular or athletic activity. We are aware that a small percentage of our students do not participate in DHS extracurriculars/athletics; however we encourage and welcome all Darien High School students and their parents to participate in these workshops. We will offer the participation workshop to Middlesex students and families on June 11, 2018 at Darien High School from 7:15 to 9 p.m. in the Auditorium. There will be one additional offering in the summer in preparation for the fall season and one prior to the winter season for those students and parents who cannot attend in June. We encourage you to attend the June workshop, if possible, because summer schedules are so demanding. Workshop topics will include: the impact of illegal substances on brain functioning and possible medical/psychological concerns, potential legal ramifications and the “voice” or story of alcohol and drug addiction. We are confident that these presentations, led by top professionals in their respective fields of study, will be of the highest quality. The student and guardian must sign-up in advance, using this link to attend the June 11 session. Failure to participate in the June or August session will result in non-participation in the fall extracurricular or athletic activity until completion of the workshop can be coordinated through the high school administration. Once again, students and parents are required to attend the class only once per year. We are asking that families partner with us to make a difference in the lives of our students today and in the future by improving their understanding of the impact of drug and alcohol use. By working together with one voice, we believe we can do more to protect their health and well-being and we look forward to this collaborative effort. If you have any questions, please do not hesitate to reach out by phone or email. Earlier on the same night, at 6 p.m., Monday, June 11, all Grade 8 students are invited to attend an informational high school sports meeting. The meeting takes place at 6 p.m. in the Darien High School Gym. This is also be an opportunity to meet the athletic director and fall sports coaches. 7th Grade Healthy Living: Students have just finished their substance abuse and drug prevention unit. During this time, students learned how to access valid, reliable sources of information about their respective topics and shared their findings with the class. In the culminating unit, students are using cooperative learning strategies and conflict resolution skills to increase awareness about teen safety and injury prevention. Thank you to all of the hardworking 7th grade students and those who support them for a successful 4th quarter! 8th Grade Healthy Living: Students are finishing the substance abuse and drug prevention unit. They have learned about factors that increase and decrease risks, decision-making skills, and refusal strategies. Students explored consequences of underage drinking, vaping, and using marijuana. They also discussed how media messages could influence societal norms and attitudes about substance use. To finish the year, students will learn coping strategies to reduce stress and enhance health. Have a happy and healthy summer! Here’s where each member of Darien High School’s Class of 2018 is heading: For more information on the list, which does not have the names of every student graduating, see the bottom of this article. A Alexander Abbruzzese — post-graduate year Alex Adelman — Oberlin College Riley Allen — Elon University Catherine Alter — Lesley University Kailey Anderson — American University Madison Apointe — Pennsylvania State University Tyler Apointe — Brevard College Kellie Arevalo — Tulane University Colton Armstrong — Marist College Mahmoud Ashrifeh — Syracuse University See also: These Class of 2018 High School Graduates from Darien Are Going to Military Service Academies (June 8) The 2017 list Class of 2018 Graduates With Pomp, Cheers, Humor and Earnest Advice Student Speeches from 2018 DHS Graduation Day B Ryan Baird — University of West Virginia Sara Baldwin — Binghamton University Samantha Ball — University of Alabama Betsy Barthold — Ohio State University Uma Basu — Syracuse University Catherine Bates — University of Vermont James Batson — St.